It looks like a James Bond torture device, but this bad boy’s here to clear junk from the decommissioned plant that’ll never reopen. 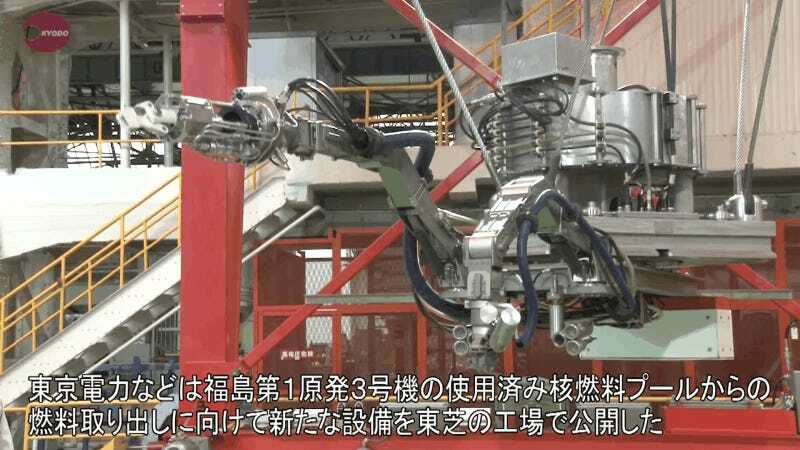 This camera-covered, crane-like scavenger uses two arms to grab and chop up fuel-rod assemblies—apparatuses that previously supplied the reactor’s fuel—from pools in reactor 3 of the plant. All those cameras give human operators an ability to look around in multiple directions within the reactor.